Mary Andonian » Screenwriting while Shifting to and from the Dark Side. You hear these things all the time at a writers’ conference. So what’s holding YOU back? If you’ve ever considered going to a conference, this is your year! 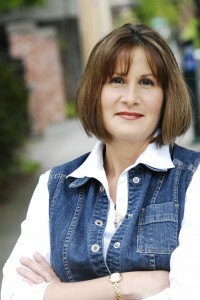 I’ll get you ready so you can put your best foot forward, regardless of where you are in your writing career. They’re the ones that have a little bit of everything: good agents and editors who actually buy the types of things you’re writing, workshops that will help you improve your writing, business strategies to help you market your writing business, and networking opportunities with other writers. If they offer a writing critique service, then you’ve hit the mother lode. Some conferences are strictly educational. That’s okay if you want to learn as much as possible in the shortest amount of time. If you have the money and inclination, attend these conferences too. But don’t substitute these types of conferences for the ones where you’ll pitch your heart out to an agent or editor. The pitch is what’s going to sell your work. (More on pitching later.) So find a conference where pitching is one of the main events. If you write for a trade publication or parents’ magazines, I recommend you not attend a conference for, say, Mystery Writers of America. In other words, find the correct conference genre to suit your needs. My favorite conferences are the ones that have a blend of both fiction and non-fiction workshops, and a good representation of both agents and editors. If you write for a very specific target audience, however, then by all means seek out the conference that meets your demographic. For example, you might be more comfortable attending a Christian Writers conference if you write for Christian publications. Action steps this month: Find the conference you want to attend this year, and when you find it, mark those conference dates on your calendar using a big, fat, permanent red marker. You’ll find your conference by Googling the words “writers’ conference,” along with your city and state (or province or country, etc.). You can also access www.shawguides.com, and search under their “Writers Conference” tab. And don’t forget the two trade publications devoted to writing: Writers Digest and The Writer. Both magazines offer a “Conference” tab on their websites. Some conferences look shiny, exotic and expensive because, well, they’re shiny, exotic and expensive! That doesn’t mean they’re the best conference for you. Don’t go for the glitz. Instead, go for local/accessible, targeted toward your specific needs, and pitch-oriented. I started this blog with the hope it could become a place to go for a brand spanking new screenwriter to learn easy tips and tricks as they developed their first screenplays. I envisioned these writers assembled in a SpeakEasy, relaxing with a favorite beverage, enjoying quiet and easy conversation about how to write a great story for the visual medium. Final Draft is the industry’s standard for writing scripts. Yes, you can get away with free versions of script writing software, and if you’re a hobbiest you should save your money and go that route. But for those of you who hope to enter your finished screenplay into contests or want to pitch it at writers’ conferences or do practically anything and everything to get your script sold, then you need tools for the craft. It’s like going to Kmart and picking up the value pack of paint brushes in the toy department and then hoping to paint a masterpiece. 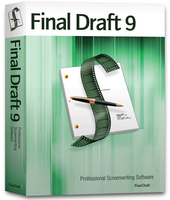 You can use Final Draft to create movies, television pilots, and even stage plays. It automatically places your scene headers, descriptions and dialogue in the correct format so you don’t have to do any guesswork. After you write your first draft, it even creates scene cards for you to rearrange to your liking, creates character reports so you can find out quickly if one of your characters drops out of sight for too long and should speak up (or get combined into another role), and let’s you know if some scenes are too long vs. being too brief. You can track your revisions and versions with ease. Best of all, since everyone else uses Final Draft, when you join a writers group or send your work for professional feedback, everyone talks the same language so you don’t waste time overcoming the “language barrier” prior to getting your actual story evaluated. Although this site is primarily about screenwriting and writers’ conference success tips, I also want to make mention that we are a gluten free household. That’s because I have a daughter with Celiac disease. I liken gluten in your diet to screenplays with unnecessary fillers and bad prose. Not a good thing. I’ve cooked gluten free for three years now so maybe it’s time to share a little knowledge about making your teen (or anyone) happy on a gluten free diet. We’ll see where this takes us.